P2PU | How do I make a P2PU Course? | Start Here. Step 1: What is Peer Learning? We bet you're here because you want to run a course on P2PU. We are very psyched about that. Let's get started. Everyone has expertise in something. We learn by connecting with each other and sharing what we know. We give each other feedback to improve our projects. Step 2: What is a Peer Learning Project? Skills: what do you want folks to know? Projects: what do you want folks to make to demonstrate that understanding? 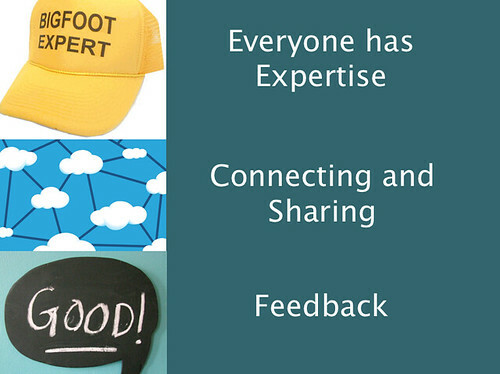 Feedback: how do you want folks to share their projects and integrate that feedback? In my _(catchy title) course my peers will master _(skills) by doing _ (project) and __ (peer interactions) . In my "Web; The Movie" challenge my peers will understand how the web works by producing a mockumentary and giving design critiques. Please post your definition of peer learning, and your Mad Libs exercise below before moving on.